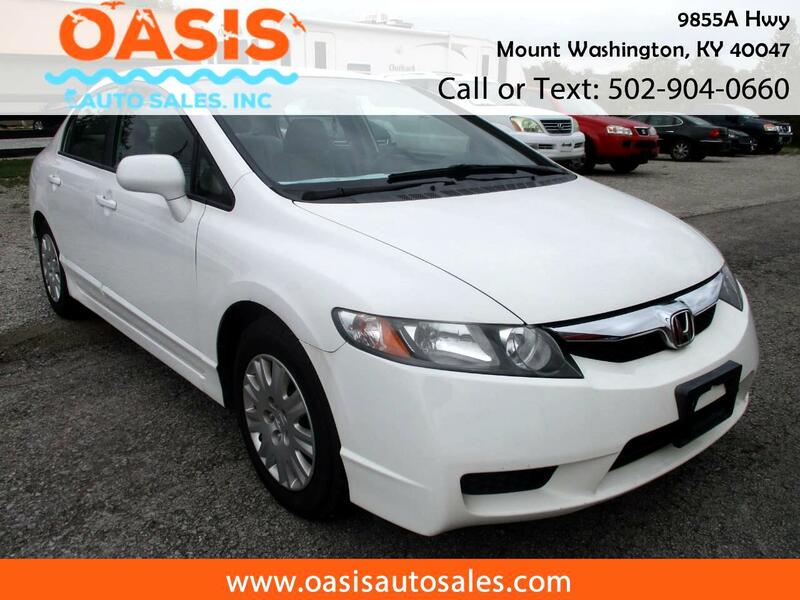 2009 Honda Civic GX Natural Gas and gasoline fueled, power windows, locks, and mirrors, remote keyless entry, CD player. Come see us at Oasis Auto Sales at 9855 Hiway 44 East in Mt Washington, Kentucky 40047. Qualified for an extended warranty. Message: Thought you might be interested in this 2009 Honda Civic Sdn.